This deliciously classic cheese lasagna is perfect for the whole family. Add these simple ingredients to your grocery list and make it today! Mix ricotta, 3/4 of the shredded mozzarella, parmesan, parsley, basil, and garlic in a bowl and set aside. Spread 1 cup of sauce in a 13x9″ baking pan. Place 3 uncooked lasagna sheets at the bottom of the pan, add a layer of 1/4 of the cheese mixture, and then layer with 1 cup of sauce. Place 3 lasagna sheets and repeat layers until all of the cheese mixture is gone, with the last layer being sauce. Remove foil, then top with the remaining 1/4 of the shredded mozzarella, and bake uncovered for 10 minutes. The perfect leftover. This cheese lasagna can easily be prepped ahead of time and refrigerated for up to a day. If you happen to have leftovers, they can be frozen for several months! Add your meat! Try adding ground beef or ground turkey as an additional layer to your dish! 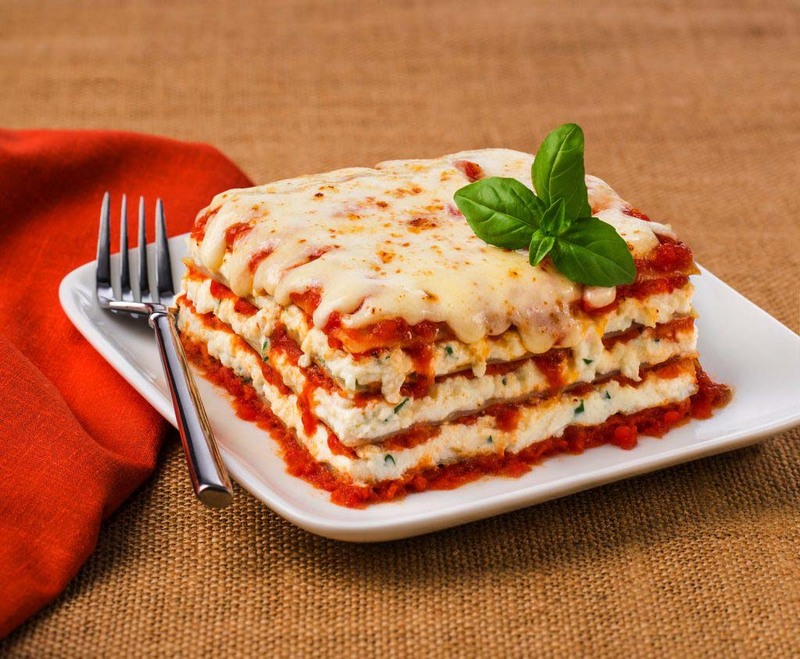 Cook ground meat and assemble lasagna as directed, adding meat to each layer of the lasagna.